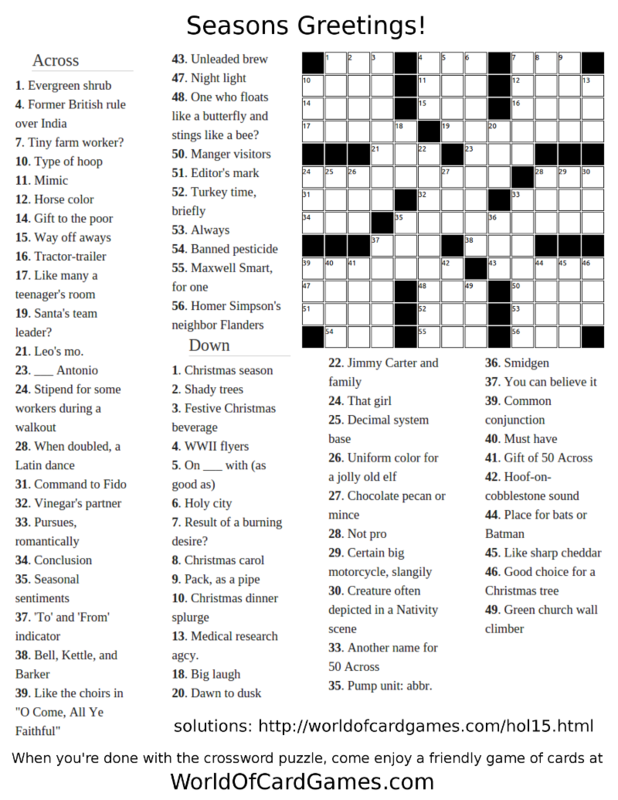 Do you enjoy word puzzles? If so, here's a little gift! 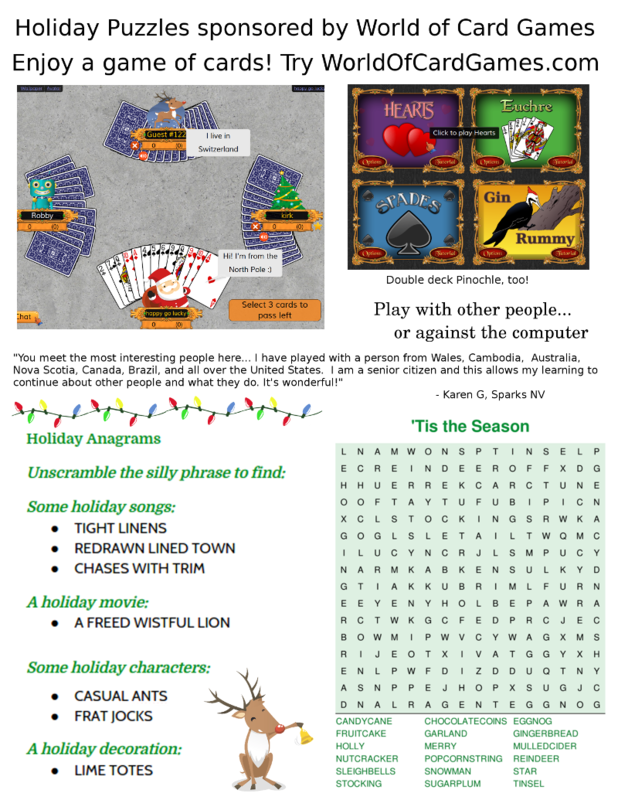 World of Card Games has sponsored a set of three holiday-themed brainteasers. 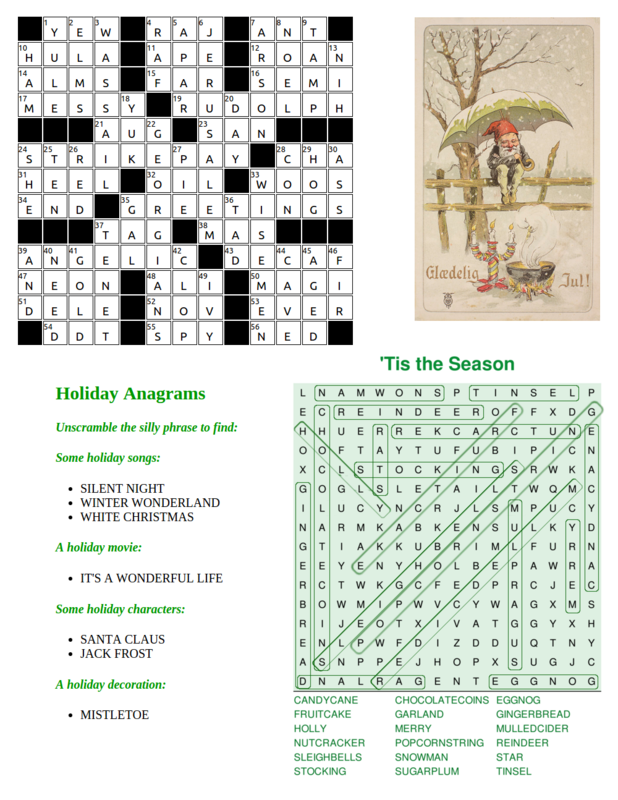 There's a crossword puzzle, a word search puzzle, and some anagrams to unscramble, all with seasonal themes. If you scroll down to the bottom of the page, you'll find the solutions, too. I hope you have fun with them! Happy Holidays! If you don't want to see the solutions, don't scroll down any further!! !